Mumbai – “India’s financial capital” – aspires to become another shanghai, and not an equitable city. Forced evictions are an everyday occurrence, resulting in increasedvulnerability, homelessness and poverty. And interestingly, the city is now fullof shanghai-like skyscrapers revealing the neoliberal polices that are enactedby the state, which allows such contradictions to exist in the same space. The many forces that oppose such development are fighting a divided battle, and are adopting fire fighting methods to ward-off the state’s excesses on its poor denizens. Mass displacements and rehabilitation schemes have resulted in ghettoization of the urban poor, and land which is precious and integral component for the development of the city and could be used for affordable housing is open to manipulation by the market forces. There is an urgent need to tackle the issues in an integrated manner; the revision of the Development Plan (DP) seems to be the appropriate time to change our methods, our actions and more importantly, it is an opportunity to collectively change our city for the better. 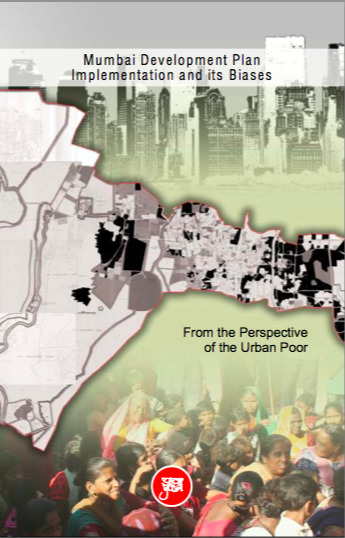 Mumbai Development Plan Implementation and its Biases: From the Perspective of the Urban Poor, authored by YUVA in February 2013, argues that issues of affordable housing, better amenities, better access to health care and open spaces must be democratically planned and participated at the level of the city. of the lax state planning. We in our study argue and highlight the plight of the urban poor, who because of non-implementation of DP have been the worst hit and remained marginalized. The report generates our demands and recommendations on the DP revision process, and we hope it paves the way for a just and equitable Mumbai.